Well, Indiana Jones and the Web Page of Wonder has recently had its 5,500th visitor! As for my survey, I will probably post the final results sometime soon, and in the meantime I'll be thinking up a new survey. I have added a few new sections, and from time to time I try to come up with more animation for this page. If anyone has any new ideas for the page, just tell me. Thanks for dropping by! Go to the movie link you want to see! See a featured quote from an Indy movie! Indiana Jones and the Web Page of Wonder now has a chat room! Download a fun preview of this game from LucasArts! 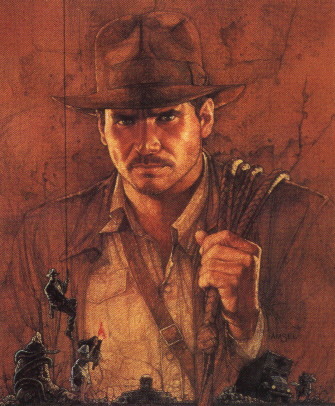 The Indiana Jones Favorite Movie survey final results will be posted soon! This page has been visited times since its creation on 12/27/97. It was last updated 4/20/98. This site is ranked by . The best ranking I've seen for this page has been a rank of 512 in the entertainment section, (at the 12pm EST ranking on 4/20/98). This web page was made possible by the free web page service at Tripod.